Arguably even more famous around the world than the red double-decker bus and the red post box, the familiar K6 red telephone boxor “Jubilee Kiosk”, was designed by renowned English architect Sir Giles Gilbert Scott (1880-1960) and first introduced in 1936 to commemorate the Silver Jubilee of King George V. The kiosk became the first standard phone box across the UK. Sir Giles was also responsible for designing landmarks such as Battersea Power Station, Bankside Power Station (now home to Tate Modern), Liverpool’s Anglican Cathedral, which also contains a K6, and Waterloo Bridge. Out of a total number of 46,000 working public payphone kiosks on the streets of the UK, around 8,000 are traditional red phone boxes, of which the majority are K6s. The architectural significance of the traditional phone box has seen2,400 kiosks designated as grade II listed buildings. Many decommissioned phone boxes have been fitted with life-saving defibrillation machines, others have been turned into art galleries,mini libraries, exhibitions and information centres. One village turned theirs into a one-night-only pub, when their local closed down.Fans of the BBC Radio 4’s long-running drama The Archers will know that even the villagers of Ambridge adopted their phone box for use as a mini-information kiosk. To buy your own piece of history, contact BT’s only approved reseller X2 Connect Ltd. Visit: www.x2connect.com/home, call +44 (0) 1636 61 11 10 or email: info@x2connect.com. The K6 or “Jubilee Kiosk” commemorates the Silver Jubilee of King George V.
The K6 was designed by Sir Giles Gilbert Scott, who also designed Liverpool’s Anglican Cathedral, Battersea Power Station and Bankside Power Station now Tate Modern. Sir Giles also designed the K2 and K3. The K4 kiosk was developed by the Post Office Engineering Department based on the K2 design. The K6 was the first kiosk installed nationwide and the standard kiosk until the introduction of the K8 in 1968. The K6 kiosk is made from cast iron with a teak door. It is 8’3” tall (2.4 metres) and weighs three quarters of a ton (762 kilograms). The K6 design was approved by the Post Office and the Royal Fine Arts Commission, which endorsed “Post Office red” as the standard colour. Sir Giles agreed to the use of “Post Office red”, but initially suggested the outside be painted silver and the inside greenish-blue. He strongly urged rural kiosks be painted dove-grey. Two K6 kiosks were installed in France during 1995, for the 50th anniversary of the D-Day landings. 60 red K6’s have been transformed into combined payphones and cash machines. There are 8,000 working traditional red phone boxes in the UK, the majority are K6s. In 1921, the first standard kiosk appeared, the K1 or Kiosk no.1. Two years later, the GPO held a competition to design a new kiosk. In 1926 the chosen design appeared, Sir Giles Gilbert Scott's K2. The K2 was too big and too expensive for mass production so the K1 Mk 236 was introduced. The GPO still wanted a new design and asked Sir Giles to produce another design, in 1929 the K3 appeared, a smaller, concrete version of the K2. Introduced in 1927, the K4 was intended to be a 24-hour post office with a stamp machine and letterbox added to the back. Nicknamed the “Vermillion Giant”, it was a fantastic failure with only 50 produced. In 1934, a K5 was produced, made of plywood as a temporary kiosk for use at exhibitions and fairs etc. With problems occurring with the K3, a new cast iron box was needed and in 1936 to commemorate the Silver Jubilee of the coronation of King George V, the K6 appeared for the first time on the streets. The kiosk was perfect, it had all the good points of the K1 and K3 mixed with the solidness of the K2 and most importantly, the small size and elegance the Post Office were looking for. The K6 was widely used to replace K1’s and K3’s. The K6 was similar, but smaller than its predecessor the K2 and also designed by Sir Giles. The K2 had been installed mostly in London and a few other large cities, but the “Jubilee” model became the first genuinely standard telephone box to be installed all over the country. Kiosk no. 6’s were given to every town or village with a post office, regardless of cost. As a result, more than 8,000 new boxes were installed in 1936 and by the end of production in 1968 there were nearly 70,000 in Britain. Many areas did not approve of the red colour and so were allowed to paint them in alternative colours. Most of them have now been repainted red, but a few survive in dark green and grey. In the 1960's the Post Office were considering a new design. Neville Conder's design for a K7 was chosen. It was made in aluminium and was tested in 1962. The K7 was not adopted as a new design and only five were made. In 1965, another competition was held to design a new kiosk, the K8. Bruce Martin was the winning architect and his design appeared in 1968. It was a very new design to the previous ones. The main differences were that the glazing bars had gone to be replaced with just one big window on each side of the kiosk and the domed roof was replaced with a much flatter design. Nearly 4,000 K8s would appear, some of which replaced K6s. Vandalism was always a problem with telephone boxes and during the 1970’s British Telecom made another modification to the K6, many kiosks had their glazing bars ripped out and had a single piece of glass put in like the K8. The popular design of the K6 survived the introduction of K7’s and K8’s in the 1960’s, but during the 1980’s and early 1990’s they were frequently replaced with the modern KX series of payphone booths. Thousands of old K6s were sold off at public auctions. However, the Department of the Environment and English Heritage worked with BT to identify kiosks worthy of listing as being of special architectural and historical interest, mainly near existing listed buildings or in attractive town and country locations. By the 1990s, BT's approach had almost gone full circle due to the popularity of the design and instead of replacing them, the policy changed to retain the kiosks in certain heritage sites. In 1999 there were more 15,000 of these old style kiosks and the K6 was by now a registered design of British Telecommunications plc. 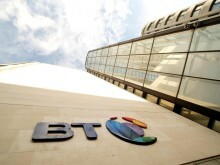 BT is the world's oldest and most established communications company. Our roots extend back to the UK's Electric Telegraph Company, incorporated in 1846 as the world's first national telecommunications provider. This year we celebrate our 170th anniversary. 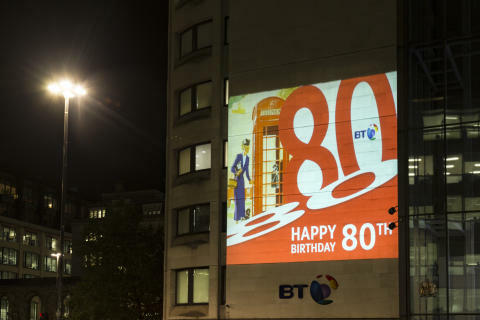 Few companies in the world have a heritage as rich as BT www.bt.com/history . BT’s Archives have been recognised by UNESCO and Arts Council England as having unique significance to the UK’s cultural heritage. In July 2016 BT was awarded Archives Accreditation by The National Archives, only the third corporate archive to meet the new national standard for archives.